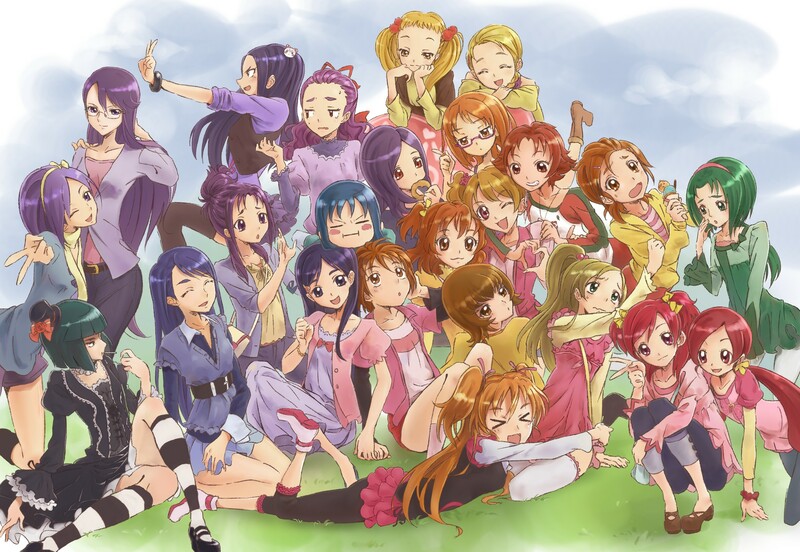 1,856 anime images in gallery. 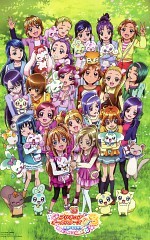 Tagged under Pretty Cure Series, Toei Animation and Crossover Series & Games. 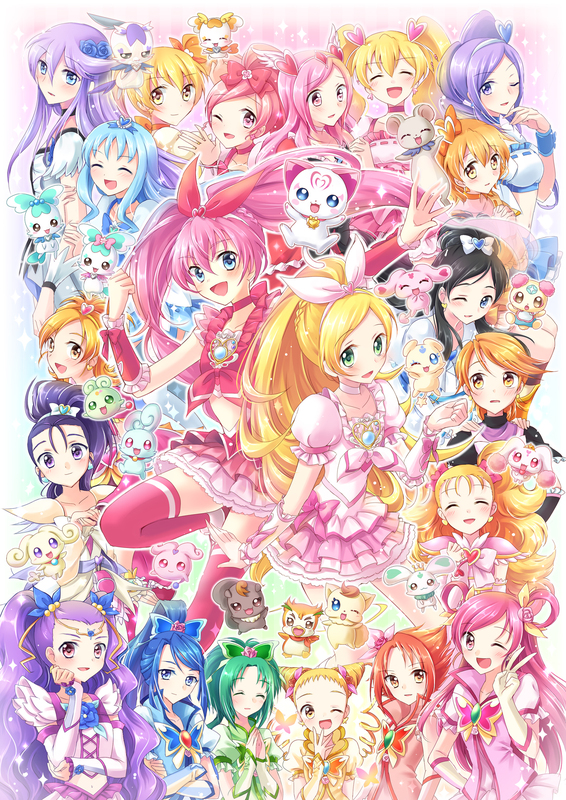 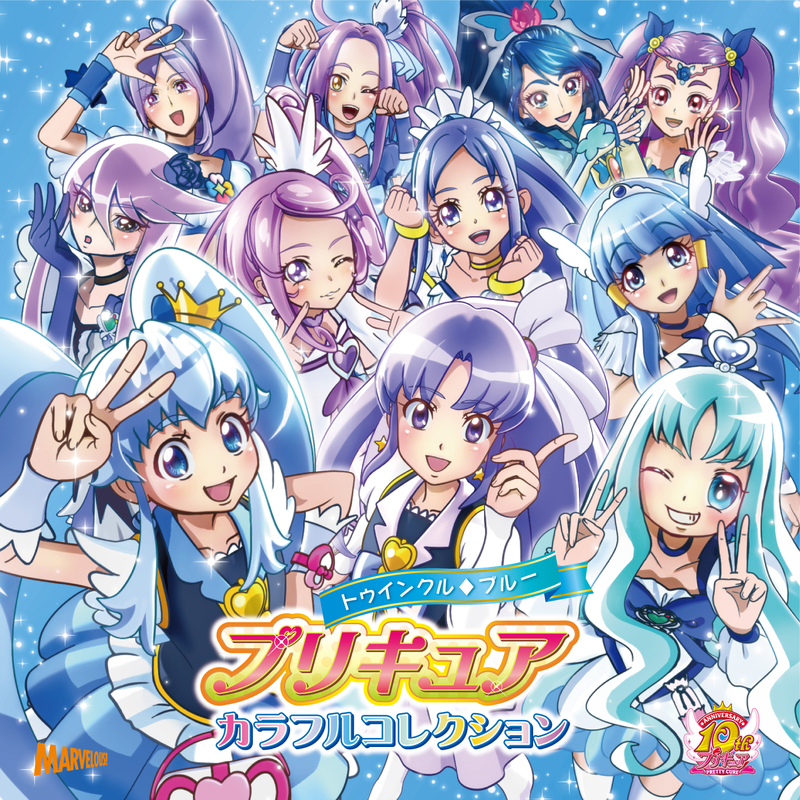 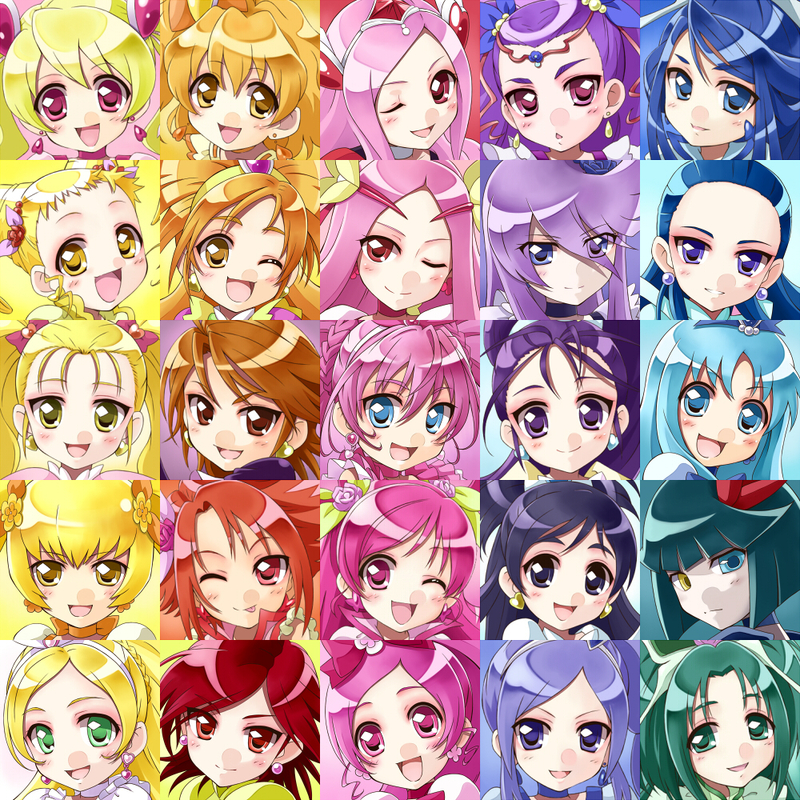 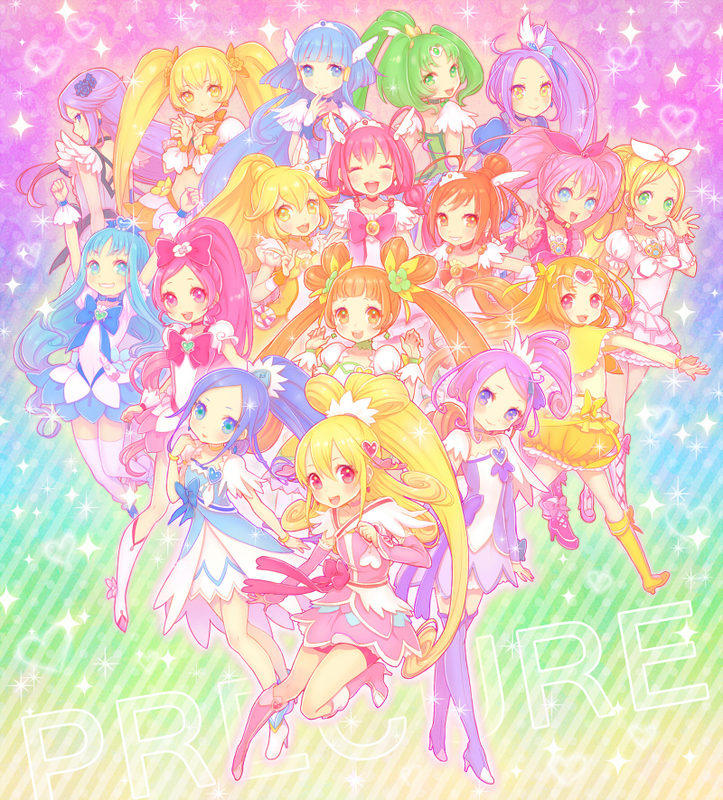 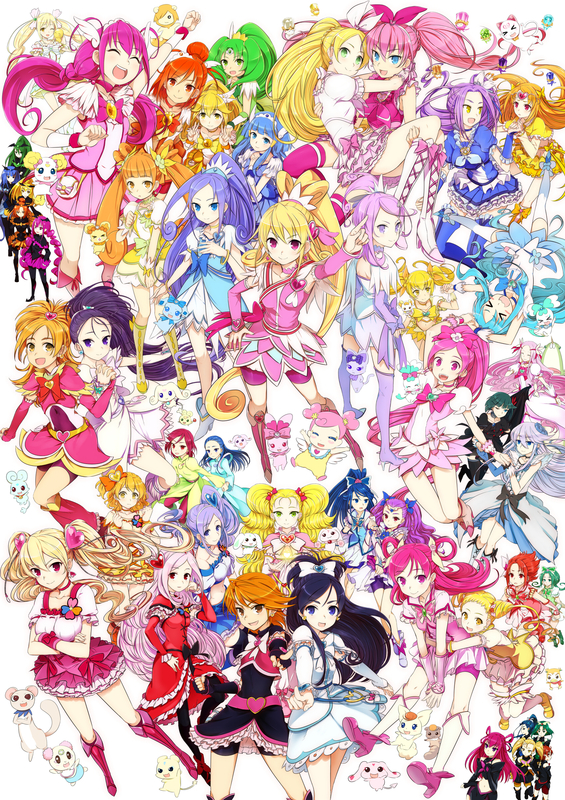 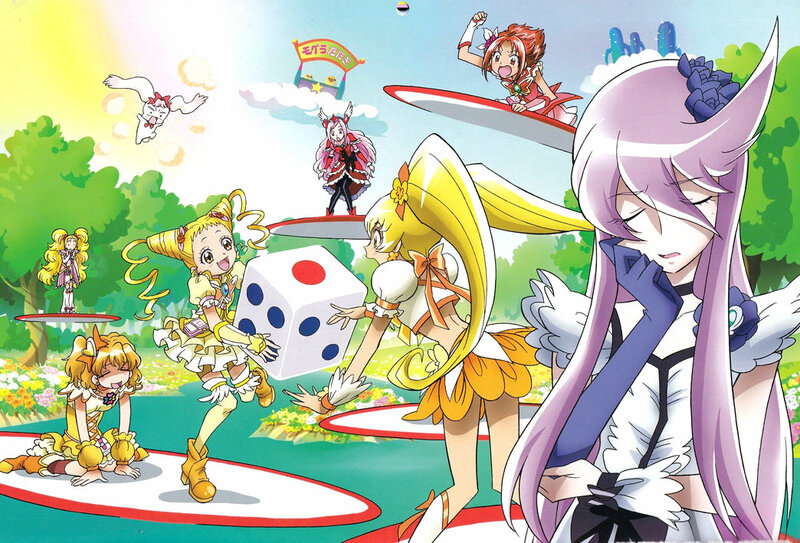 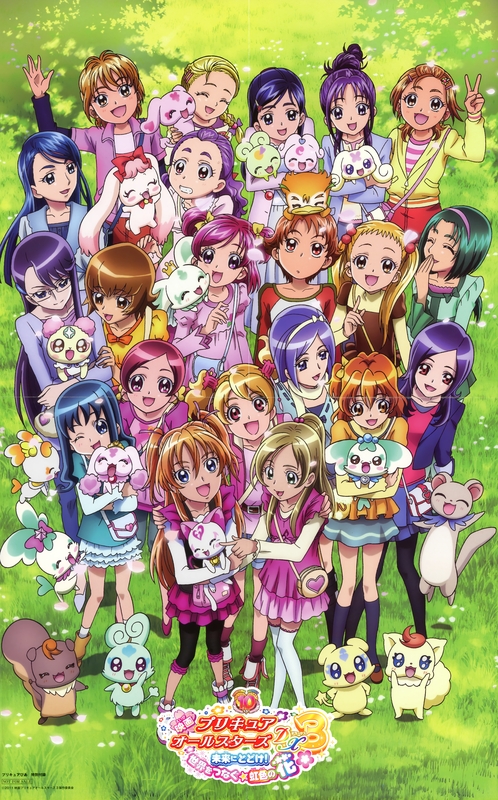 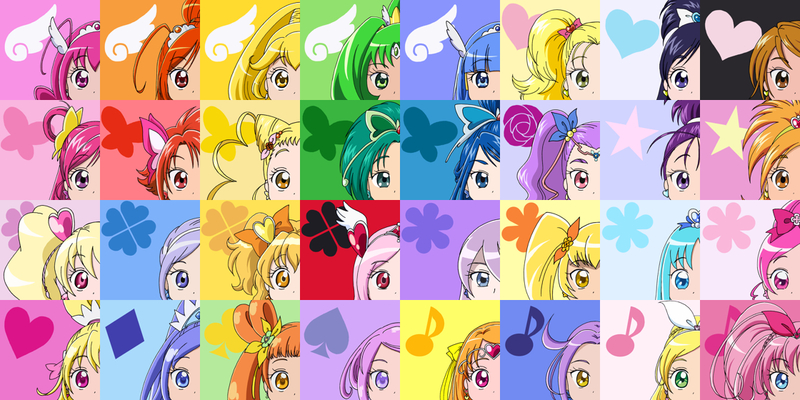 Cross-over films featuring all the Pretty Cures. 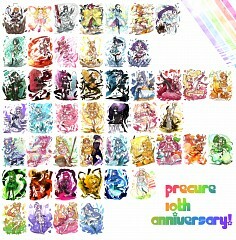 The first one was released in 2009; the others followed it one per year. 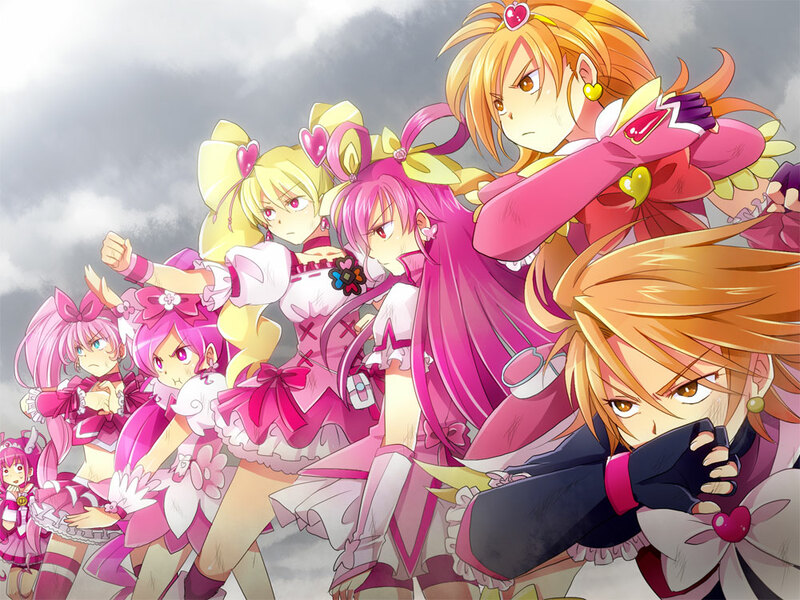 - Precure All Stars DX 2: Kibō no Hikari☆Reinbō Jueru wo Mamore! 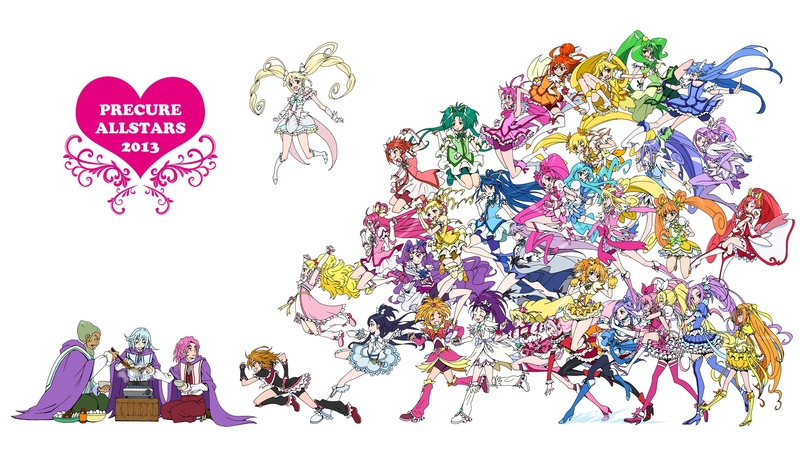 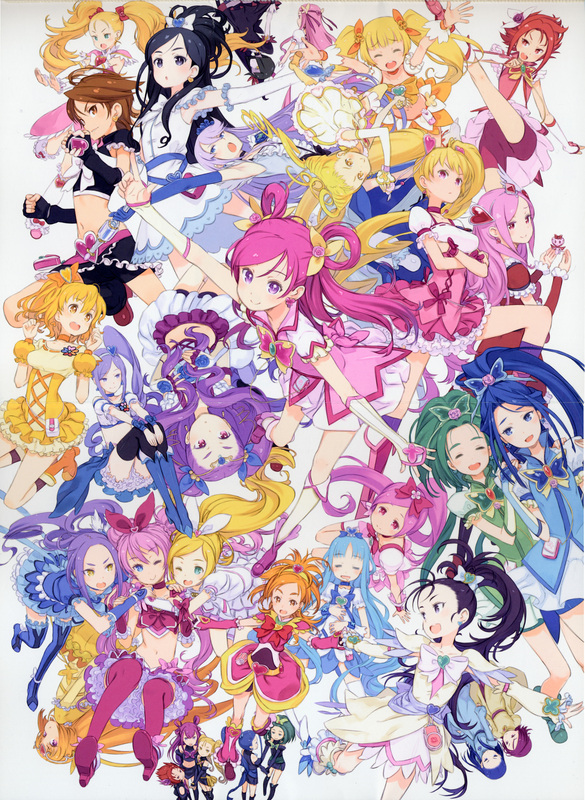 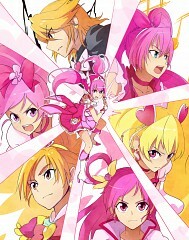 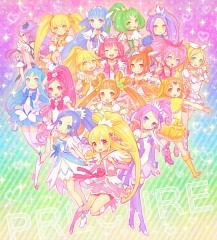 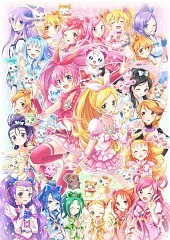 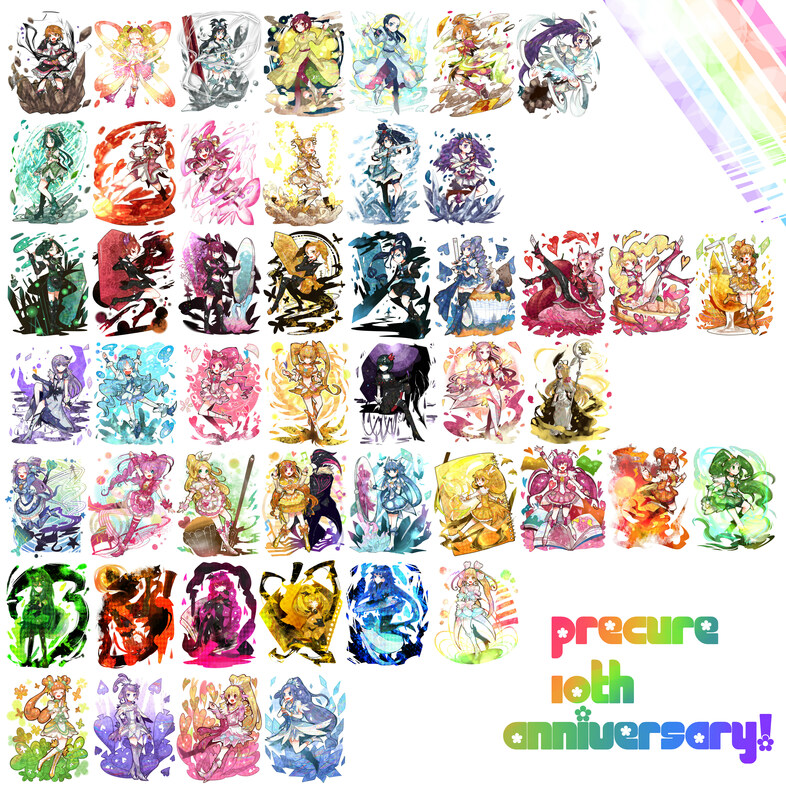 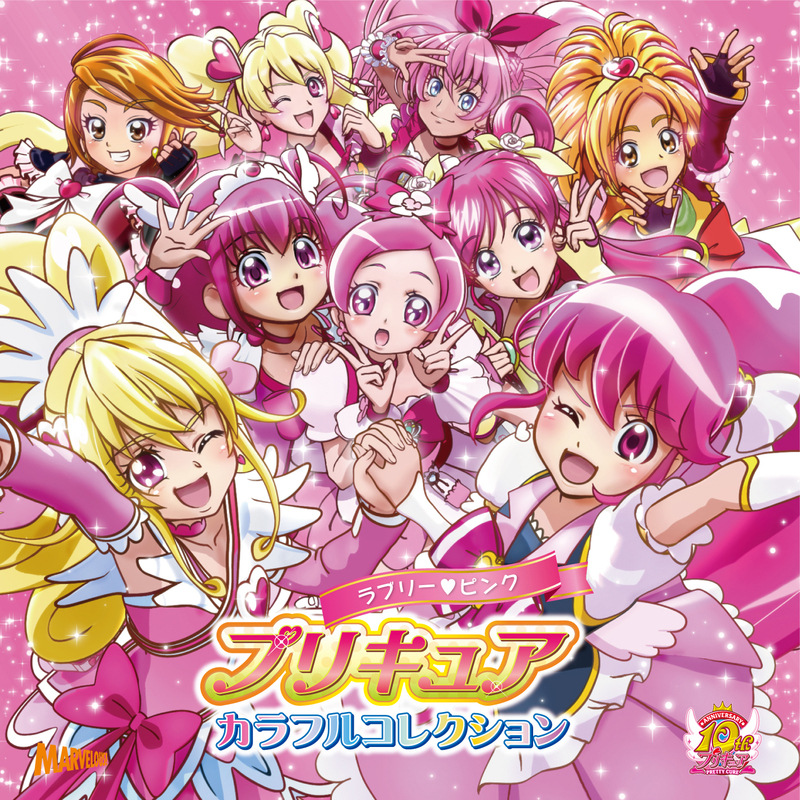 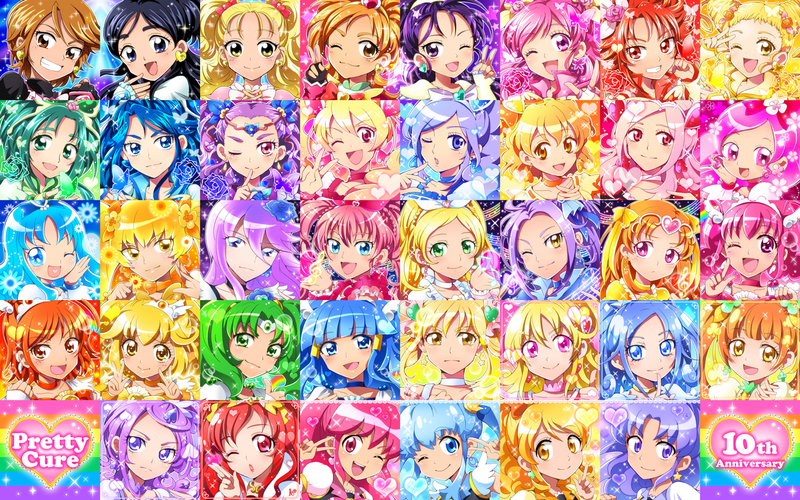 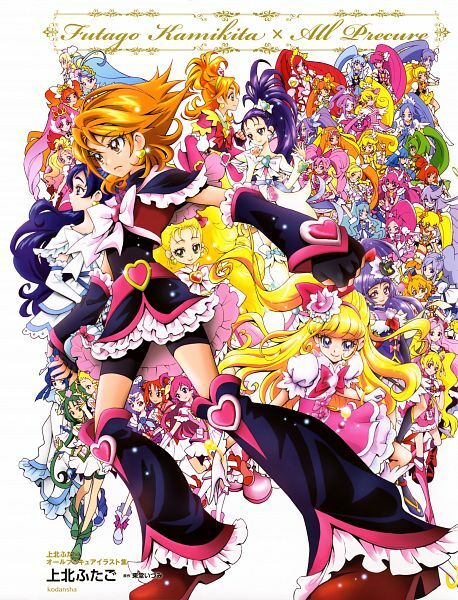 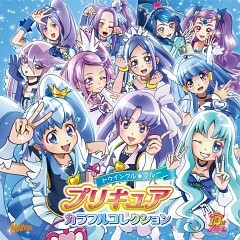 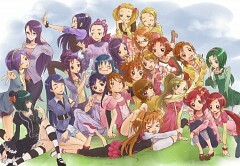 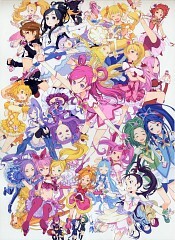 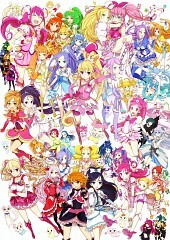 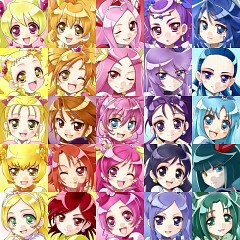 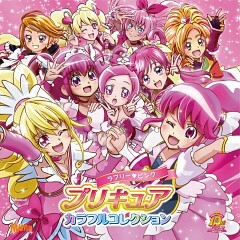 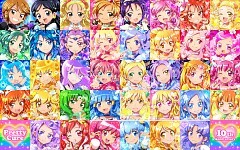 - Precure All Stars: Minna de Utau Kiseki no Mahou!